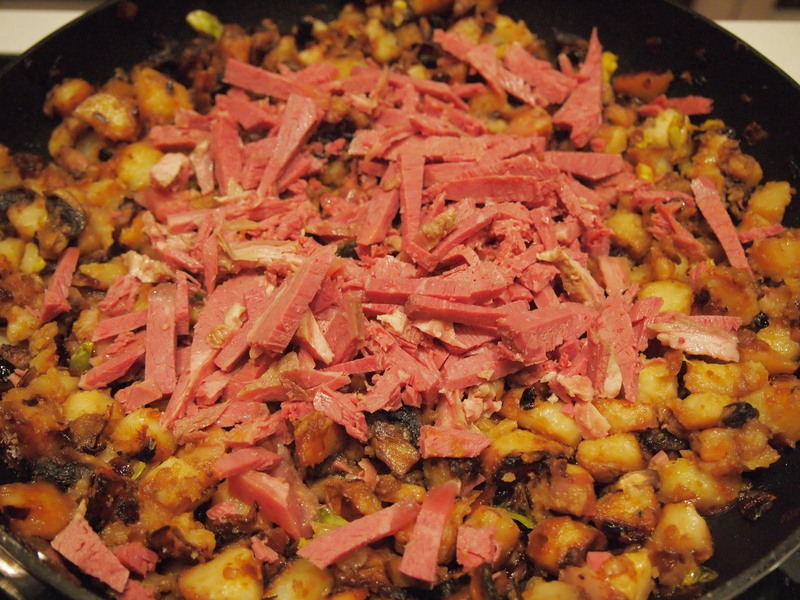 One of the best things about making corned beef is the leftovers. In fact I always try to buy a piece of beef that is bigger than what we require to ensure that there are leftovers. Our favourite ways to use the remaining meat is to make toasted Rueben sandwiches with Swiss cheese and sauerkraut or better yet corned beef hash. 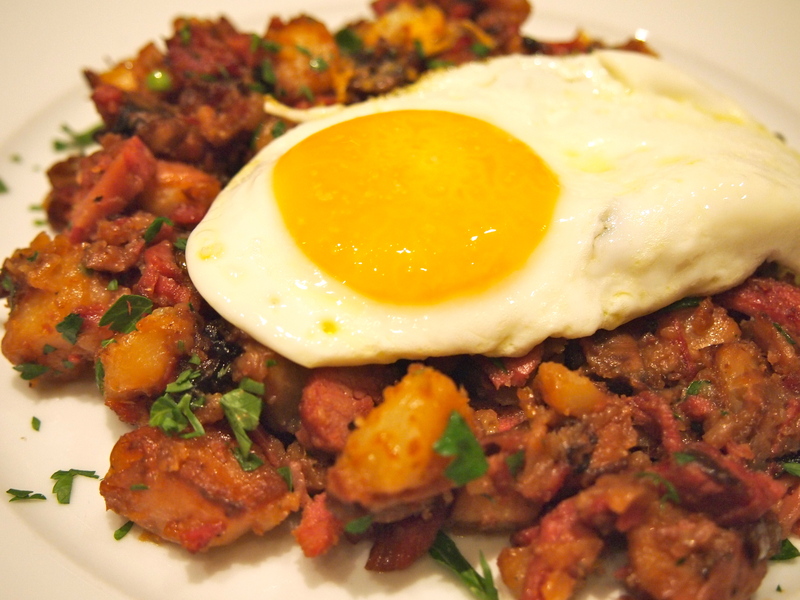 This is often served at breakfast or brunch but I love it for dinner. Topped with a fried sunny-side up egg it feels like indulgent nursery food. The key to making this super tasty is to take the time to really slowly caramelise the onions and the potatoes. 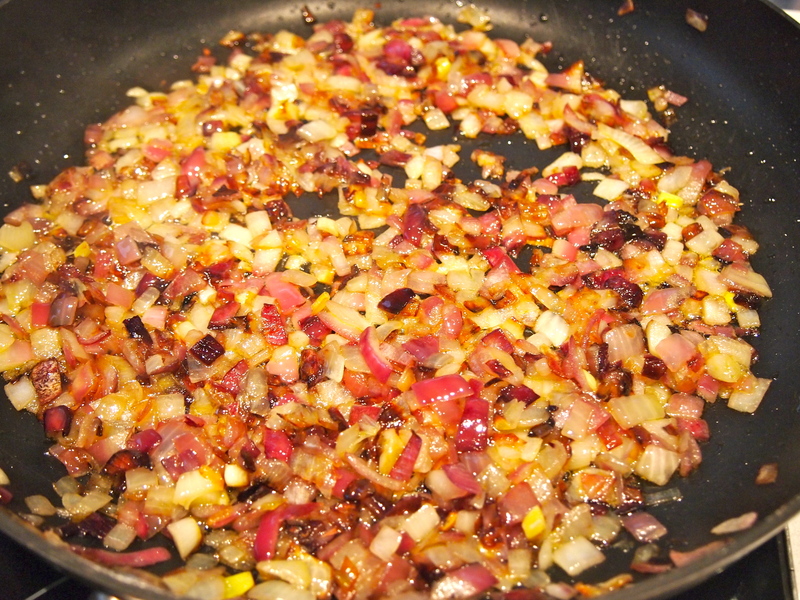 In a large skillet or frypan heat the oil and add the onions along with a pinch of salt. Cook the onions over medium heat, stirring frequently until they are golden brown. Add the potatoes and continue to fry them until they too are golden all over, adding more oil if the pan is running too dry. At the stage when the potatoes are added you don’t want to stir too often – let the potatoes colour well on one side before giving them a stir. 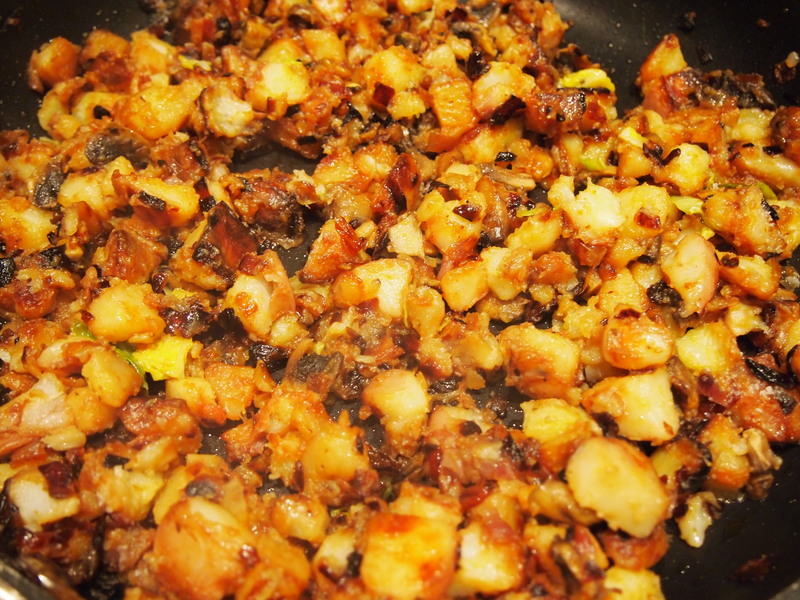 Add the tomato paste and stir to combine it well with the onions and potatoes. Add the corned beef and cook until the beef is warmed through. Check the seasoning and add salt and pepper to taste. Whilst the meat is heating through heat a little more oil in a small frypan and fry the eggs until just cooked through. 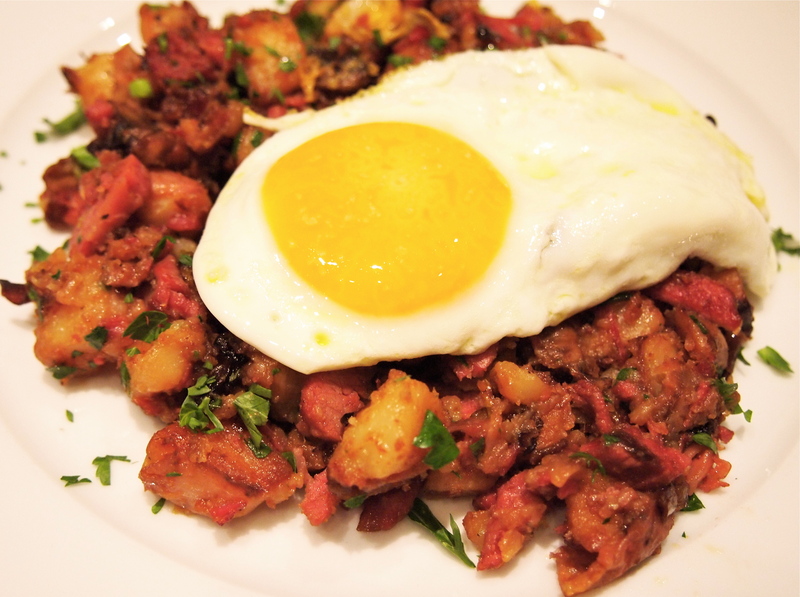 Serve the hash topped with chopped parsley and a fried egg. Hi, I have just started following you thanks to your lovely sister telling me about your blog. It’s great and your shots are fantastic. I think you should get yourself onto instagram so other foodies can follow you that way. Your pics would give me some inspiration in the supermarket!